You can now access and work with your files from anywhere you are whether at work, at home, or on the go. Like the other Microsoft Office 2010 programs, Excel 2010 includes the Microsoft Office Fluent interface, which consists of a customizable visual system of tools and commands. 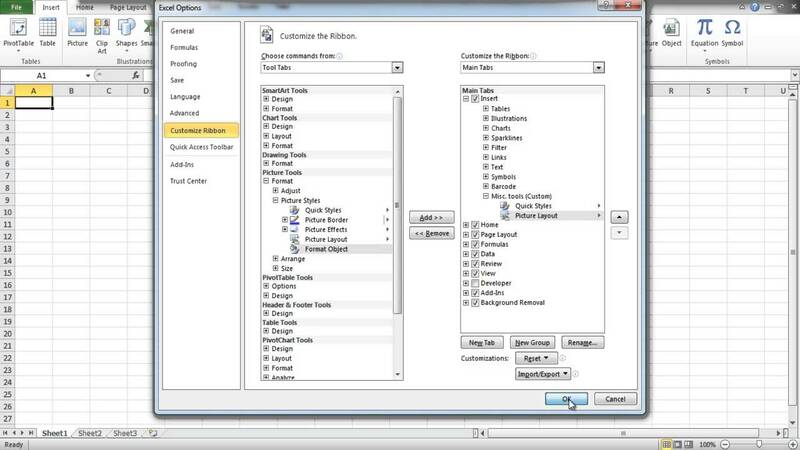 First introduced in Excel 2007, the ribbon makes it easy for you to find commands and features that were previously buried in complex menus and toolbars. In Excel 2010 you can create custom tabs and groups and rename or change the order of the built-in tabs and groups. 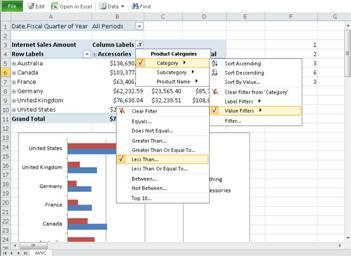 Read more or watch a video about Backstage view in Excel 2010. You can now recover versions of files that you closed without saving. This is helpful when you forget to manually save, when you save changes that you didn't mean to save, or when you just want to revert to an earlier version of your workbook. Read more about recovering files. 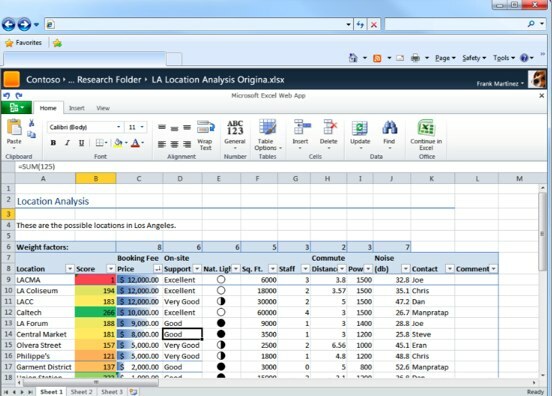 Excel 2010 includes a Protected View, so you can make more informed decisions before exposing your computer to possible vulnerabilities. By default, documents that originate from an Internet source are opened in Protected View. When this happens, you see a warning on the Message bar, along with the option to enable editing. You can control which originating sources trigger Protected View. Read more about Protected View. The trusted documents feature is designed to make it easier to open workbooks and other documents that contain active content, such as data connections or macros. Now, after you confirm that active content in a workbook is safe to enable, you dont have to repeat yourself. Excel 2010 remembers the workbooks you trust so that you can avoid being prompted each time you open the workbook. 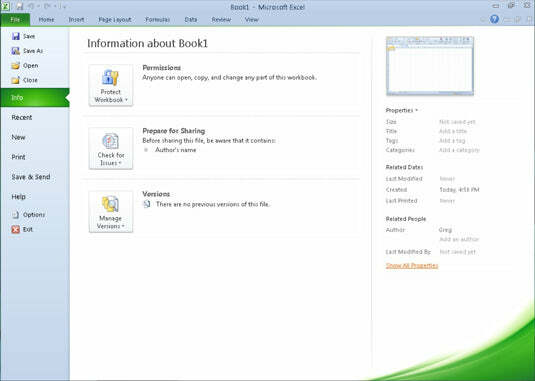 When you open your workbook in Windows Live or SharePoint, Excel Web App opens the workbook in the browser, where you can navigate through the workbook, sort, filter, expand and collapse PivotTables, and even recalculate the workbook. If you want to make changes to the workbook, click Edit to change data, enter or edit formulas, and apply basic formatting. In Editing view, you can type and format text as you normally would, and you can use cut, copy, paste and undo/redo commands. If you make your workbook available for others to edit, your friends or colleagues can work on the workbook at the same time as you. No more e-mailing a list around, or waiting for your teammate to check it back in on the server. While you are editing the workbook, Excel Web App shows you whether others are also working on the workbook. I had problems getting it to install and found the support staff to be extremely helpful. They walked me through the process and after a few hours of trying, we finally got it to work. My Choice Software has a great support staff! This product downloaded and installed without a hitch. We needed to update Excel 2010 to the same version as we had on our other computers. This was the answer to our need. I am taking a course based on the 2010 version of Excel, and this was the only place I could find it cheaply. The people giving one star reviews are completely over-reacting, and are lashing out at Microsoft for making new versions so often. Microsoft IS NOT the distributor here, it is a third party seller. Giving one star reviews isn't helping your case. Anyway, if you're looking for the 2010 version of Excel, this is perfect. 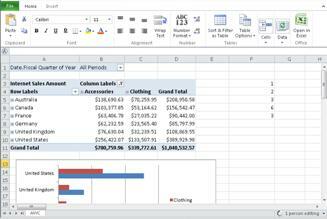 I want to start formulating a personal budget in the near future and having used it in the past, Excel seemed like the ideal method for doing so. I am particularly pleased with the latest version (Excel 2010) as it seems to have additional resources that will enable me to do a better job. My Choice Software also provided an amazing customer support while installing the software and the delivery was super fast!